Do you have an artistic talent in your midst? 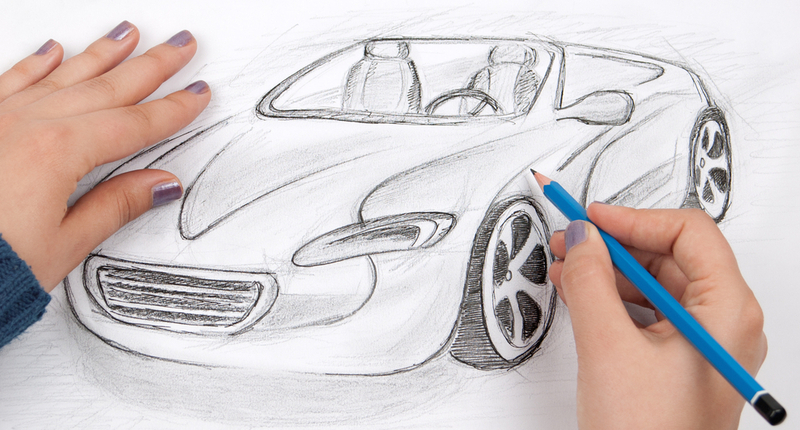 Or maybe you are an aspiring auto designer. What if you could channel that energy into $60,000 worth of college scholarship money? 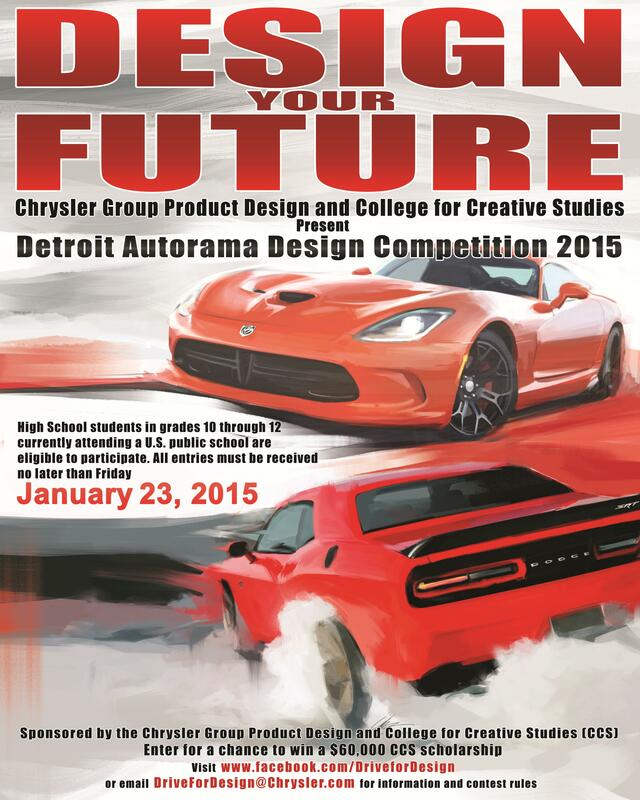 The third annual automotive design competition, sponsored by Chrysler Group LLC, the College for Creative Studies (CCS) and Detroit Autorama, is now open to public high school students, grades 10-12, across the U.S. Aspiring artists with an eye on the future can unlock their imaginations across a canvas as they create the next generation of Dodge for the year 2025. In addition to a $60,000 scholarship to CCS for the first place winner, the top four finishers will receive passes to Detroit Autorama in March 2015. They will also receive an invitation to attend a three-week, all-expense paid, summer automotive design course at CCS. Industry design faculty from CCS will be judging the submissions alongside designers from the Chrysler Group Product Design Office. So, what are the guidelines for submissions? I’m glad you asked. Use a single sheet of white paper, no smaller than 8×10 and no larger than 11×17. If you doodle on scrap bits of paper here and there, those ideas will need to be translated to a regular-sized piece of paper before you submit. All entries must be hand drawn. Save the fancy, schmancy computer graphic stuff for later and just show them what you’ve got. Be sure to include your name, address, phone number, email, school name and address and grade level on your entry. If you win, you want credit for it, right? All entries must be received no later than January 23, 2015. That may seem like a long way off, but it will be here before you know it. For all the details, including where to forward your creation, visit https://www.facebook.com/DriveforDesign/notes?ref=page_internal.